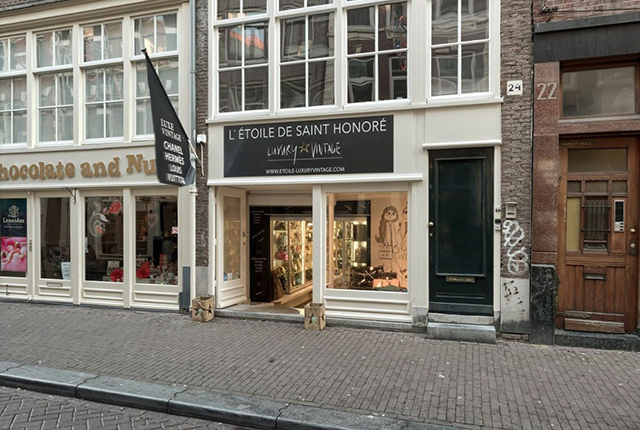 The luxury vintage store L’Étoile de Saint Honoré sells a great collection of authentic and second-hand designer bags. Exclusive handbags, belts and wallets from Chanel, Gucci, Hermès, Prada and Celine that tell a unique story. L’Étoile de Saint Honoré in the Oude Spiegelstraat is a tribute to the uniqueness of these bags. The boutique is accessible to everyone around the world who shares a passion for luxury vintage bags, belts and wallets. 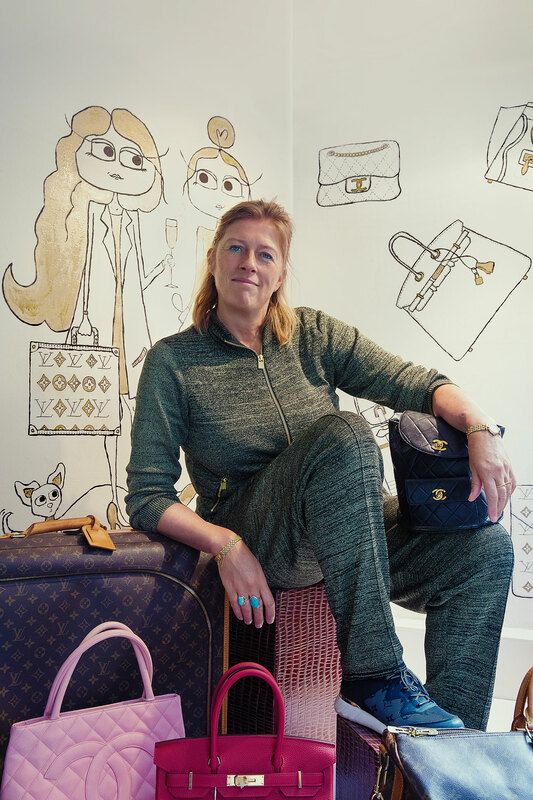 Henriette Wuite, the luxury vintage queen of Amsterdam, who owns three stores, a passport full of stamps and quite possibly the vastest collection of designer handbags in town. When you walk past L’Etoile de Saint Honoré’s Reestraat location, you are almost instantly lured inside by a stack of large, vintage Louis Vuitton trunks that are on display in the window. Once inside, you’ll find a jaw-dropping array of exquisite designer bags and accessories. It’s a sunny Tuesday morning and Wuite is doing three things at the same time: instructing a new employee, holding a meeting and simultaneously making changes to the styling of one of the glass display cabinets filled with colourful Chanel and Hermès bags. She does all this seemingly with ease. How did Wuite create this little slice of designer vintage paradise?